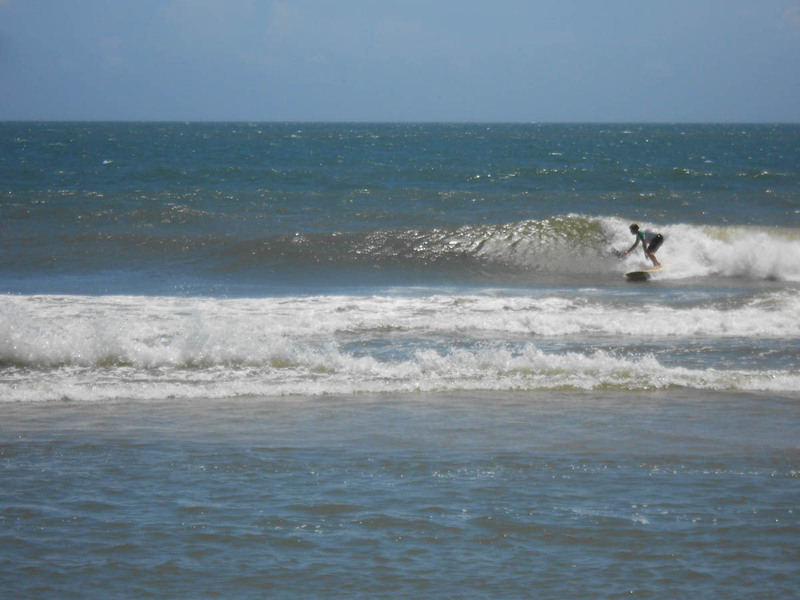 I’ve had a lot of fun here in Cape Hatteras, in spite of the fact that I didn’t really care for the cluttered and clustered Frisco Woods campground. 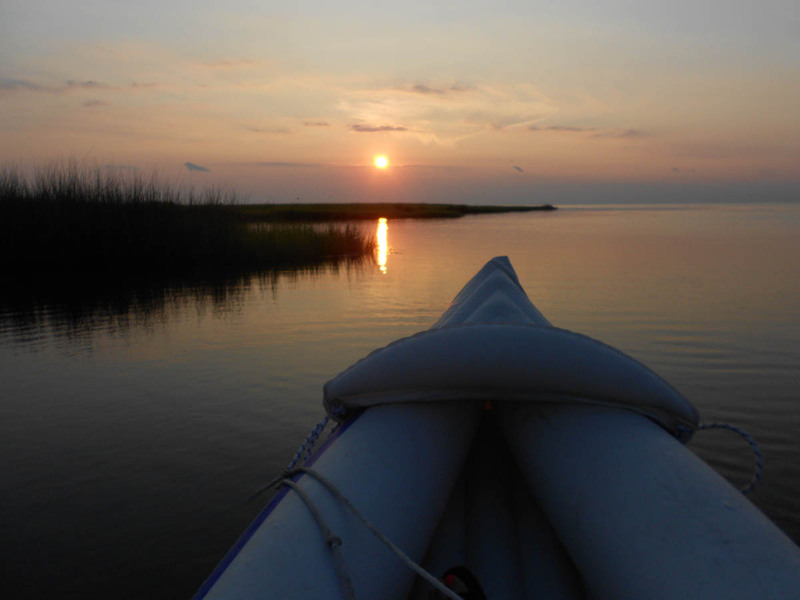 The island is a culmination of all things I like – long stretches of deserted beach, sunsets on the Sound, shipwreck museum, and scrumptious seafood. 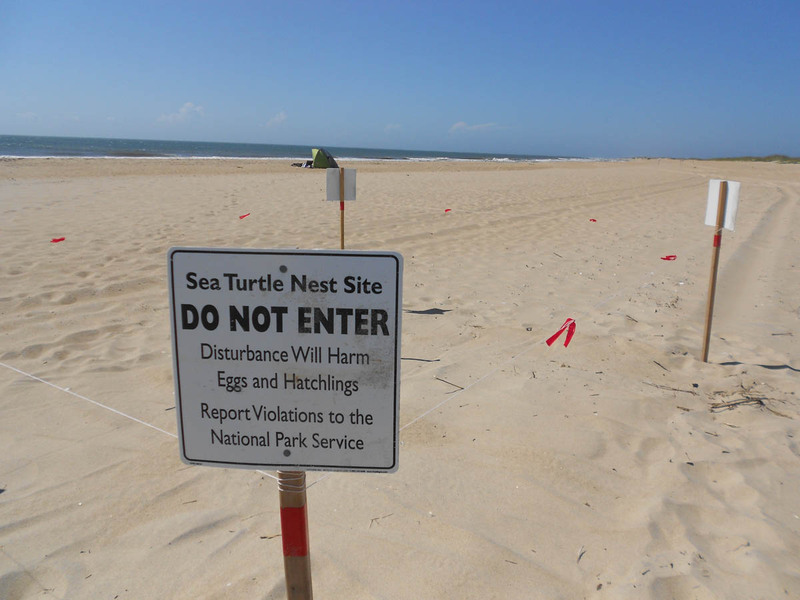 The Cape Hatteras National Seashore — Like having my own private beach most times. Being here during the cycle of the full moon was an event in of itself. 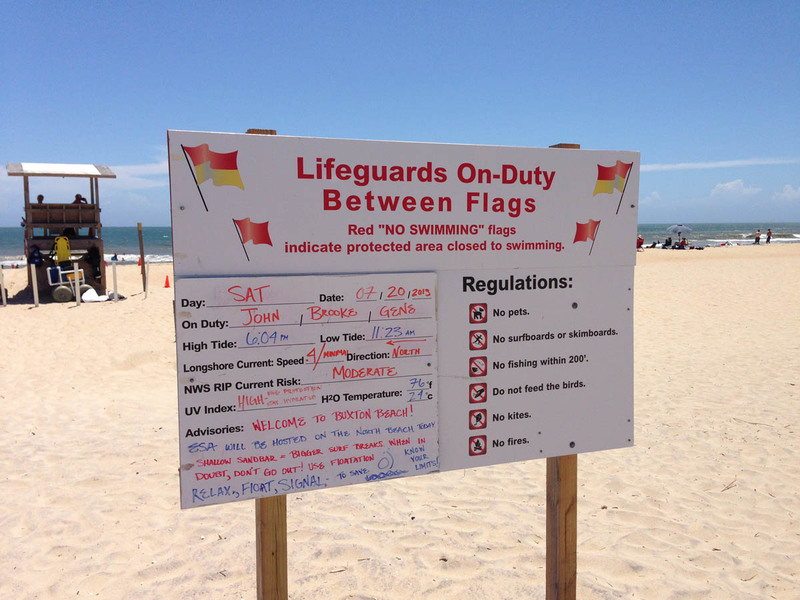 The adorable, attentive Lifeguards, who took their jobs very seriously. They asked me to fill out a comment form, then invited me up to their stand for a “tour,” and educated me on how to spot rip currents. 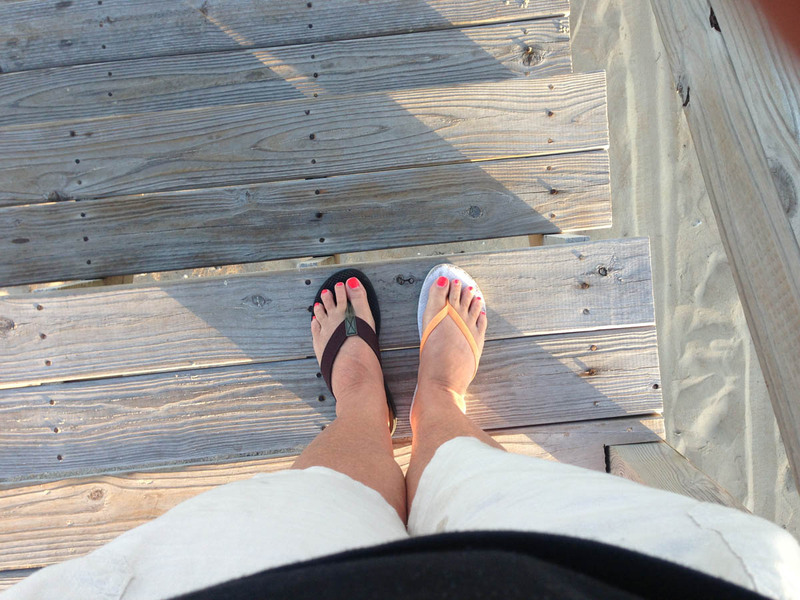 The sweet serendipity of having my favorite sandal break while on a long walk down the beach, and finding a suitable replacement just 20 minutes later for the same foot, exact size. Graveyard of the Atlantic Museum – The treacherous combination of the shifting sandy shallow shoals, along with the turbulent waters when the cold Labrador Current mixes with the warm Gulf Stream has claimed over 1,000 ships along the NC coast. 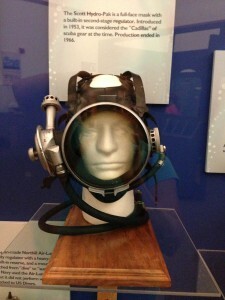 This interesting and amazingly “free” museum showcases much of that history. 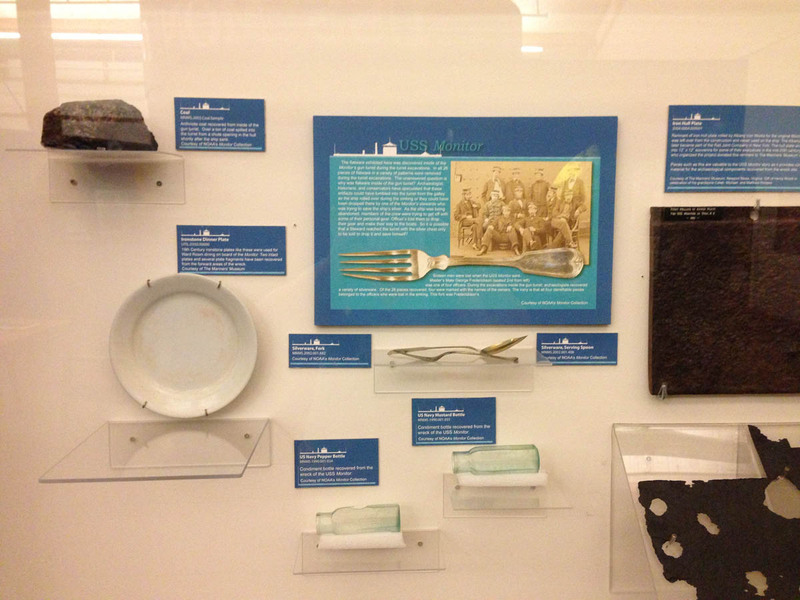 Among the most famous was the USS Monitor, a Civil War ship that sank in 1862. Among the most infamous is Queen Anne’s Revenge, the flagship of Blackbeard, the pirate, only discovered in 1996. From the ships bell, dated 1705 to the 12 ft anchor just uncovered in 2011, they believe they have enough conclusive evidence to validate that this truly is Blackbeard’s pirate ship which was believed to have sank off Beaufort Inlet, NC, around 1718. 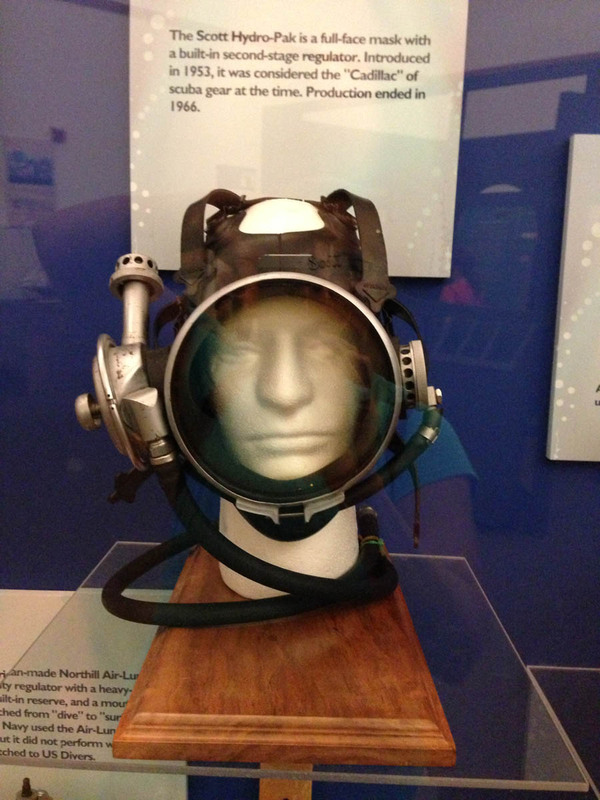 The museum displays an interesting set of artifacts from both shipwreck sites, as well as some of the German U-boats sunk during WWII. 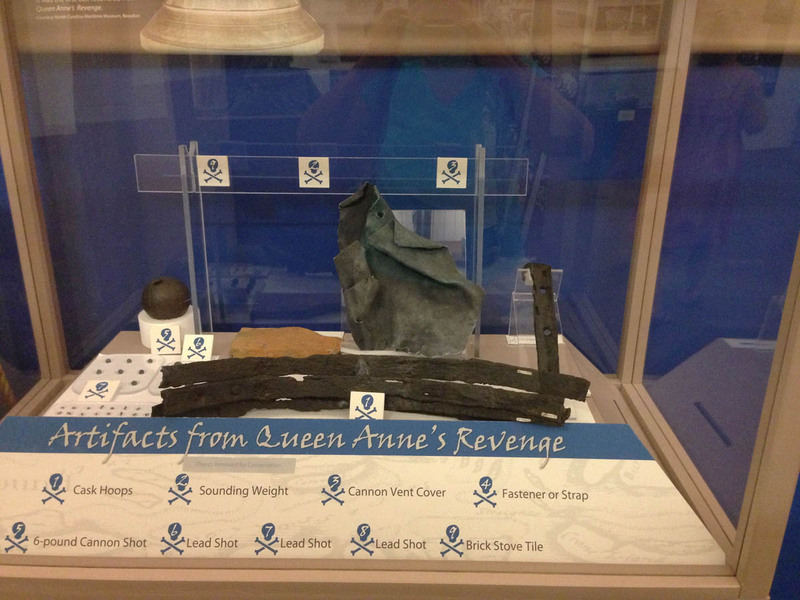 Artifacts from what is believed to be Blackbeard’s Queen Anne’s Revenge, sank in 1718. 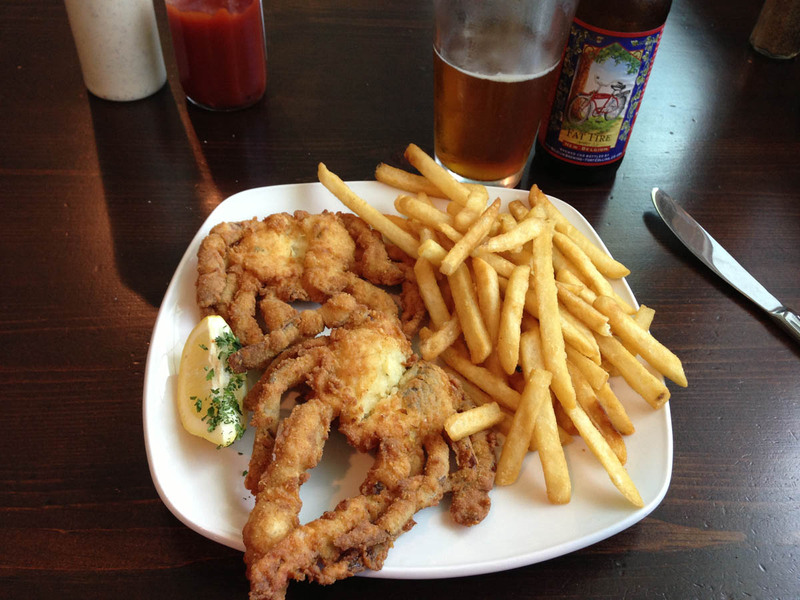 Scrumptious Seafood – It was soft shell crab season on the island, and I took no prisoners. 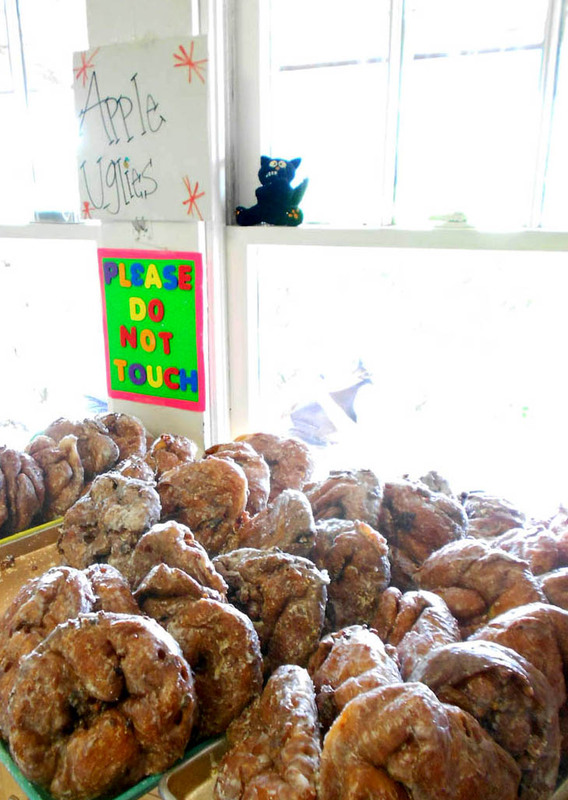 Equally memorable was my steamed shrimp and Sauvignon Blanc sunset picnic from Hatteras Harbor Seafood, and standing in line for the crispy, hot “Apple Uglies” from the Orange Blossom Bakery. BEST soft shell crabs, ever! Red Drum Automotive! — Had to stay an extra day in exchange for the great relief of finally getting my expensive new Michelin tire to finally stop leaking! Having wrongly assumed it was fixed by Discount Tire while back in Atlanta, I discovered it was FLAT again! On an island, miles from a tire store. On recommendation, I called Brian at Red Drum Automotive, who not only made a “house call” to get me to the point where I could drive it to his shop, but took the whole set of tires apart, showed me why it was leaking, how the steel valve stem had been incorrectly installed, fixed it while I waited, and only charged me $40. I cannot say enough good things about Red Drum Automotive!!! “Reconnaissance Mission” on the ferry to Ocracoke Island, to see if I thought I could brave the journey of a ferry crossing in the Winnie. 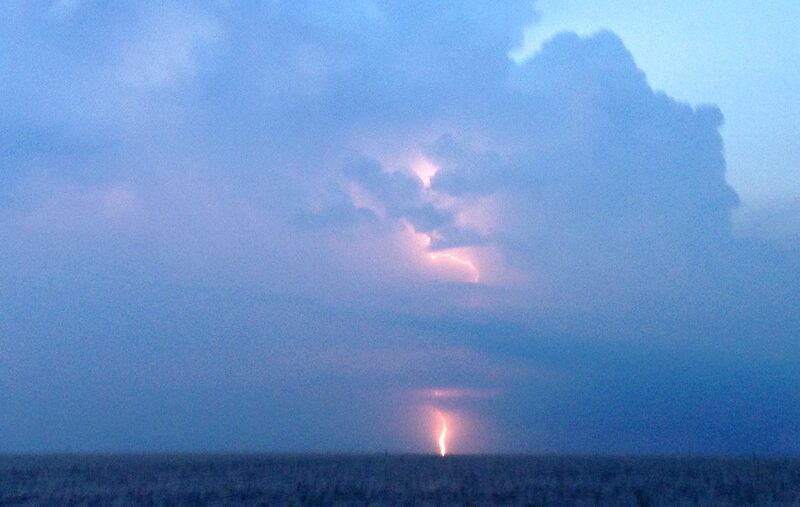 Watching nature’s “fireworks” on the ride back to Hatteras. 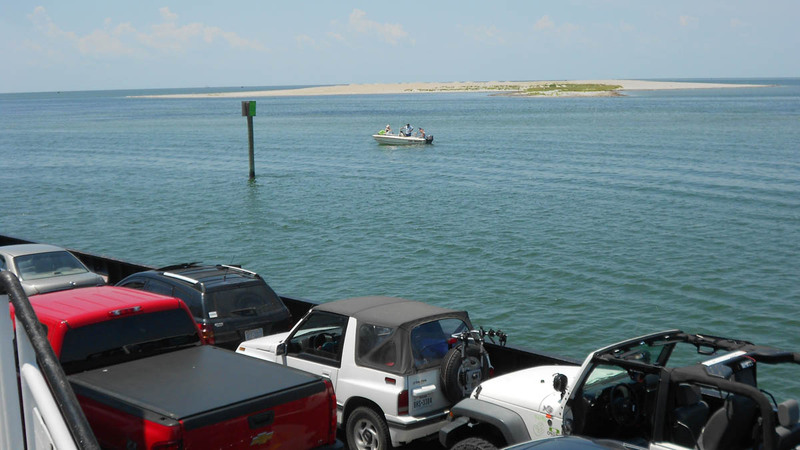 My day trip to Ocracoke Island proved to be everything I was looking for in my Outer Banks visit…The question was, could I get up enough nerve to return driving a 5 ton vehicle “with toad” onto the ferry? 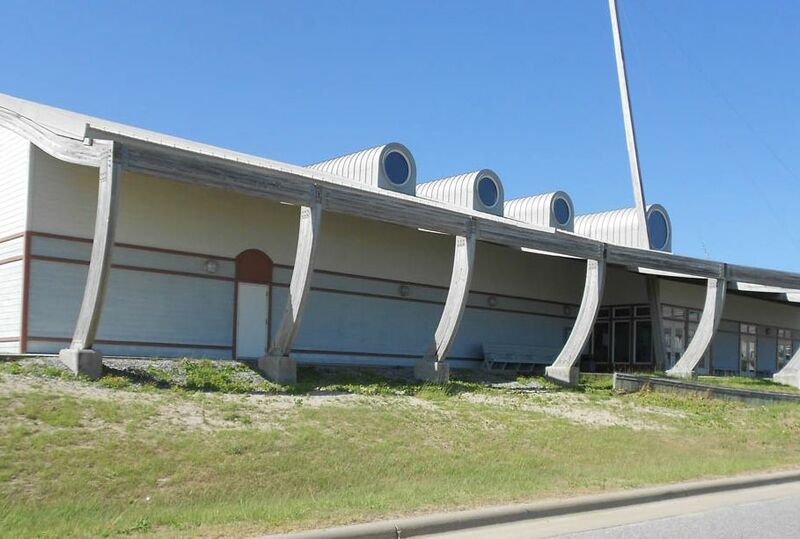 This entry was posted in North Carolina, Outer Banks and tagged Cape Hatteras National Seashore, Graveyard of the Atlantic Museum, Outer Banks, Red Drum Automotive by Suzanne. Bookmark the permalink. 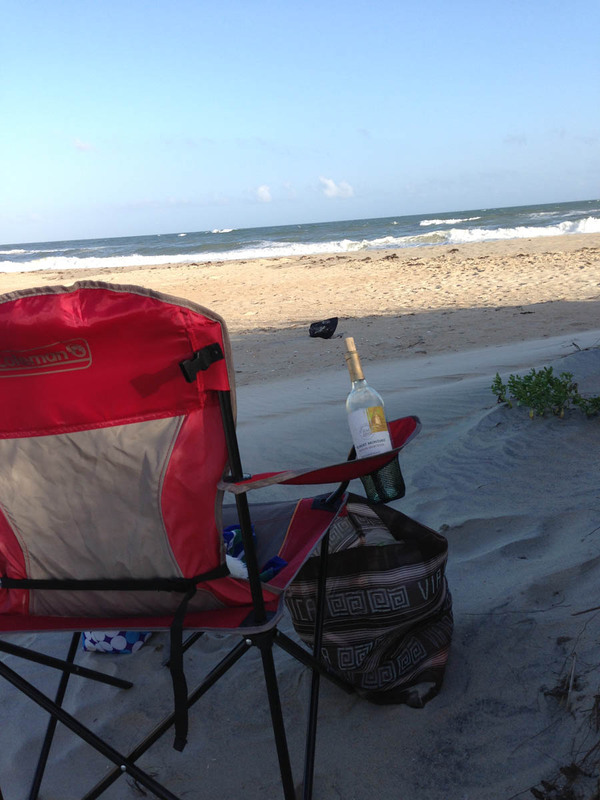 Love the wine bottle in the beach chair 🙂 Yes I am reading every post since I got the error email the other day! Perfect to keep my mind off Caeli. No wonder I loved you the day I met you.